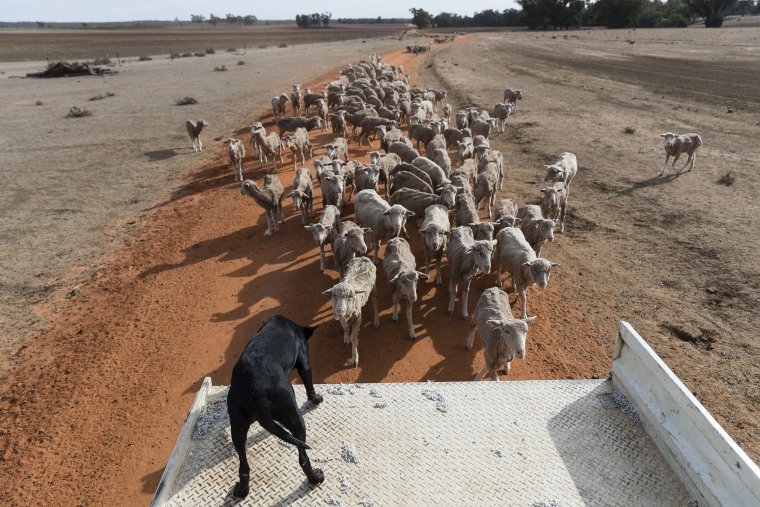 As livestock starve and the soil becomes dust, New South Wales farmers battle a crippling drought called the worst since 1902. 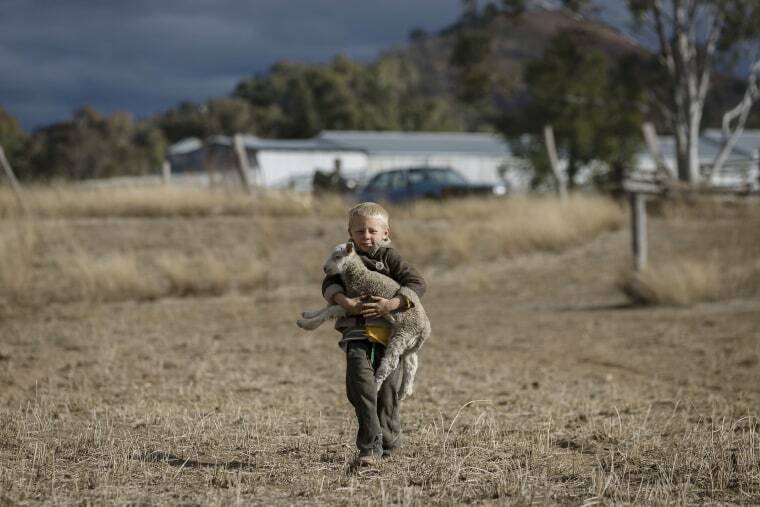 Harry Taylor, 6, picks up a lamb to try and feed it with cotton seed on June 17, 2018, in Coonabarabran, Australia. The family's farm is almost devoid of grass, with dust and weeds the only constant across the property. 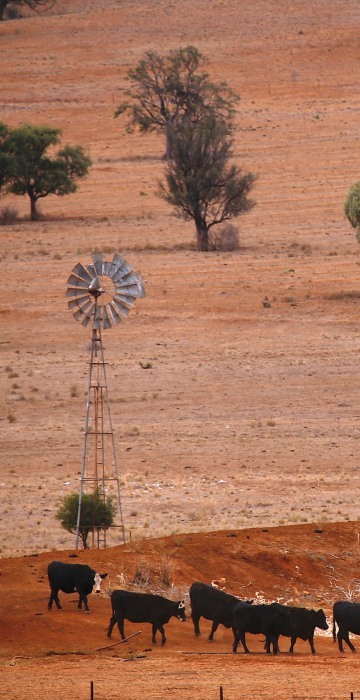 In Warrumbungle Shire, where sharp peaks fall away to once fertile farmland, the small town of Coonabarabran is running out of water. The town dam is down to just 23 percent capacity, forcing residents to live with level six water restrictions. 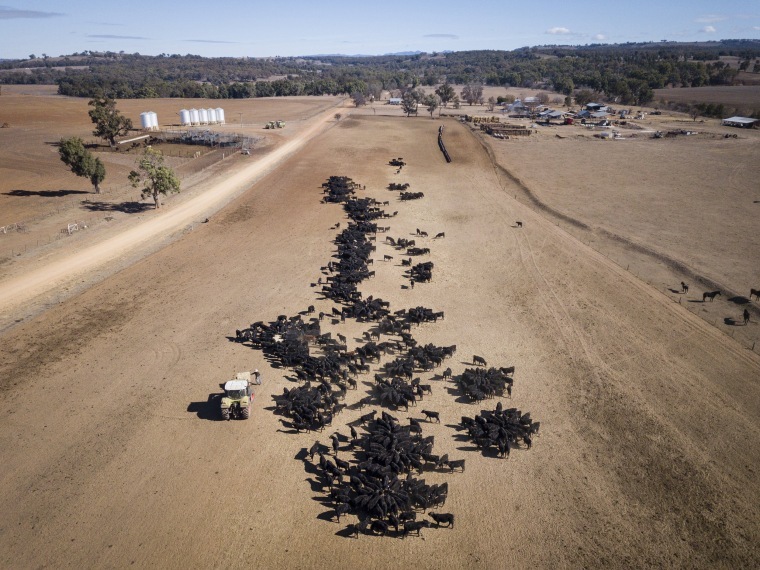 The cattle feeding operation on the Toorawandi farm owned by Coonabrabran farmer Ambrose Doolan and his wife Lisa, on June 19. 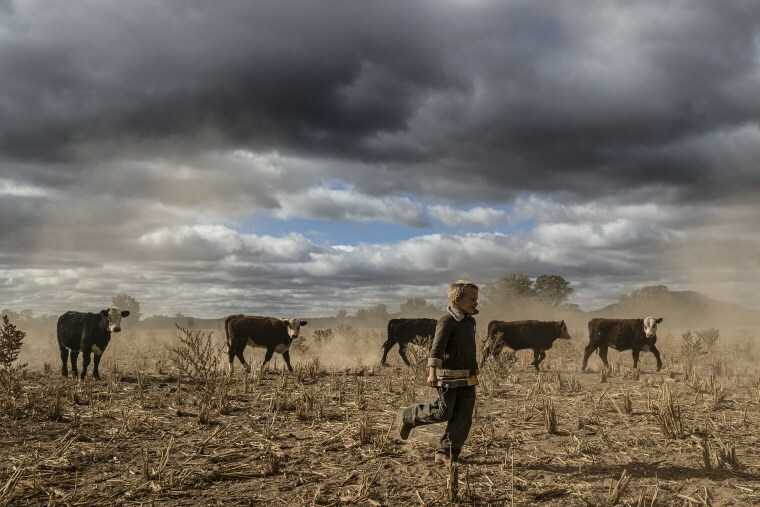 Both of the couple's children, Brett and Emily, have returned home to work on the farm during the drought. 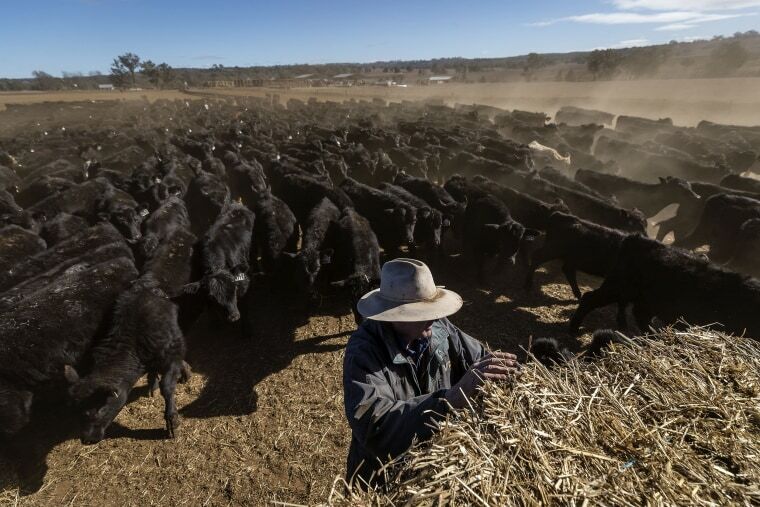 Coral Jerry, 80, feeds lambs on the Marlborough family farm outside Coonabarabran on June 20. Coral lives on the farm alone after her husband of 55 years passed away in 2015. 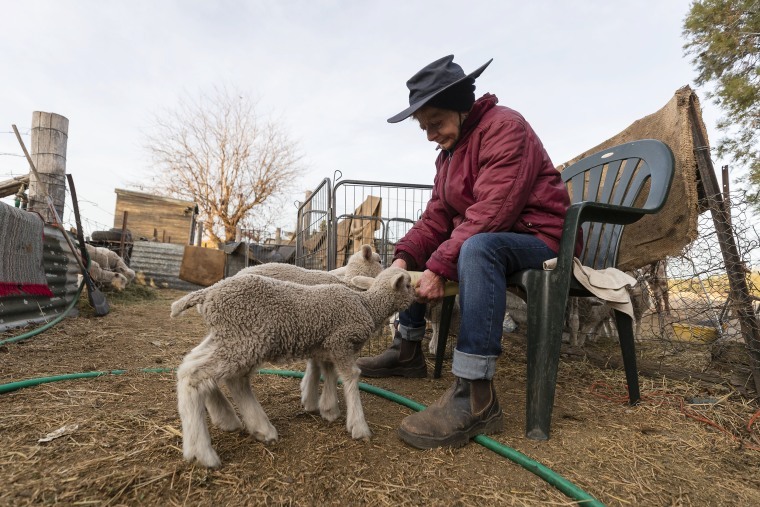 She is currently raising 40 orphaned lambs on her own, feeding them four to five times a day while her son Greg, wife Tanya and son Brett run the farm. Harry plays on the dust bowl his family farm has become during the drought, on June 17. 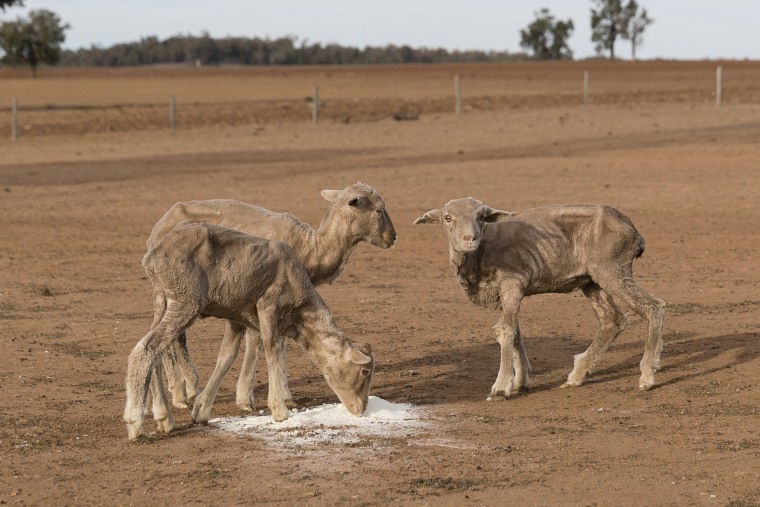 The New South Wales State government recently approved an emergency drought relief package of $445 million, of which at least $185 million is allocated for low interest loans to help eligible farms recover. The package has been welcomed, though in the words of a local farmer "it barely touches the sides." Now with the real prospect of a dry El Nino weather pattern hitting the state in spring, the longer term outlook for rain here is dire. 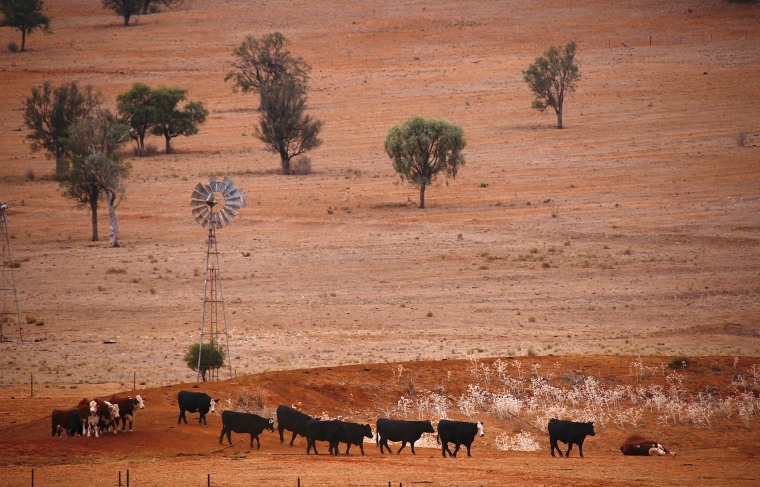 Cattle feeding on the Toorawandi farm on June 19. The name of the property translates to "rows of standing stones," which is presently an apt description of the bare dirt and stones that stretch as far as the eye can see. Ambrose Doolan works on his farm outside Coonabrabran on June 19. 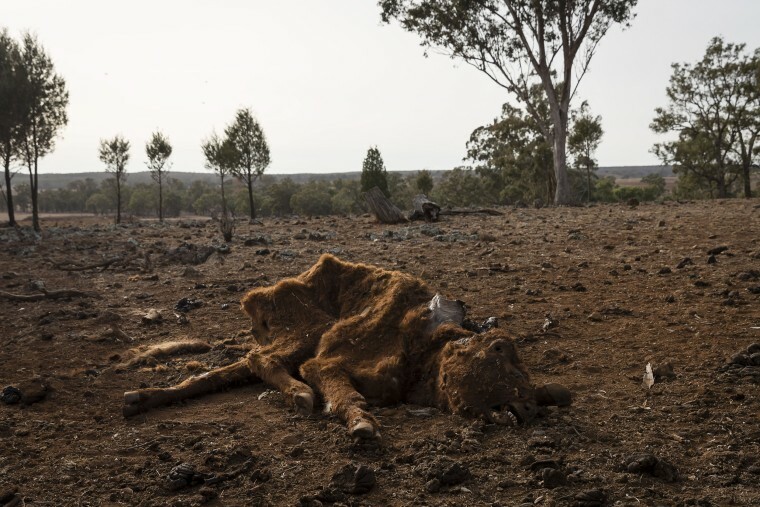 Dead livestock litter the Jerry family farm, on June 20. 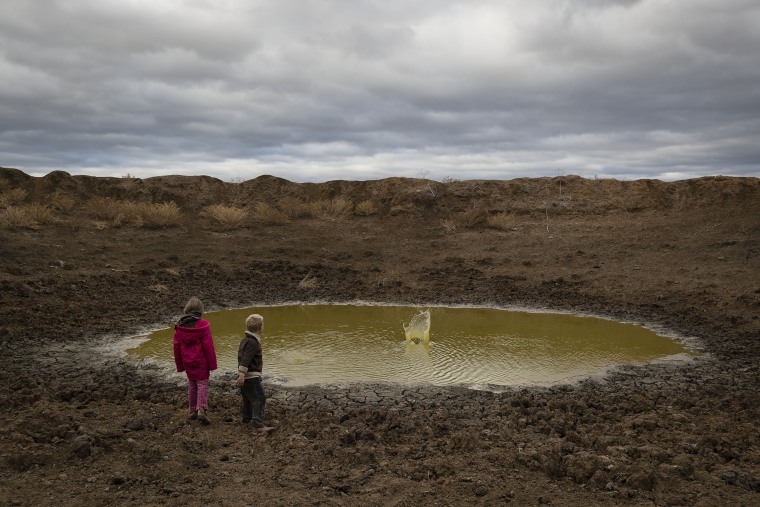 Hiedi and Harry Taylor play in one of the many empty dams on their family farm in Coonabarabran, on June 17. Sheep are corralled on the Jerry family farm on June 20. Sheep feed on what's left on the Jerry family farm on June 20. 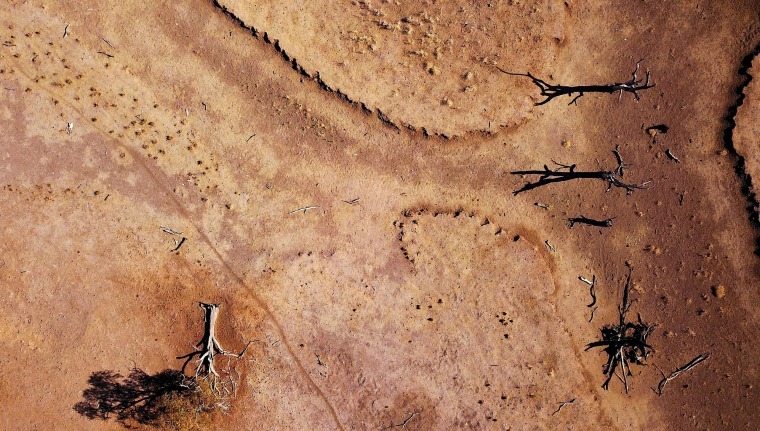 Dead trees lay in a drought stricken paddock on Scott Cooper's South Park farm, located east of the town of Gunnedah in New South Wales, on July 21. 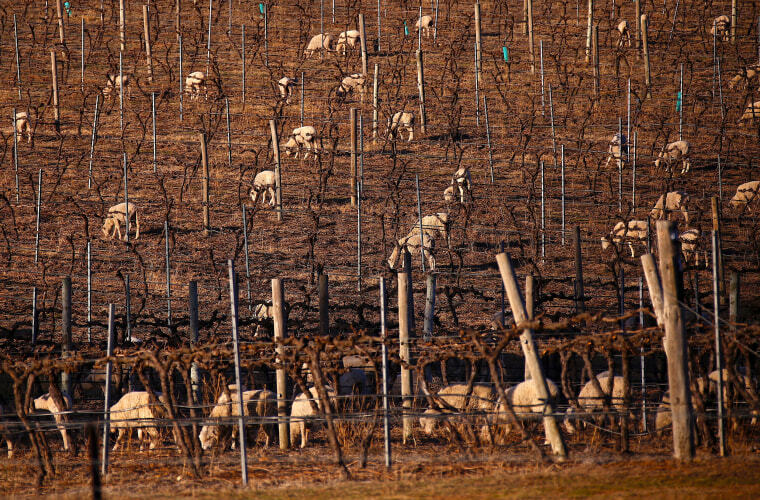 Sheep graze between rows of dried up vines at a winery located on the outskirts of Mudgee on July 18. 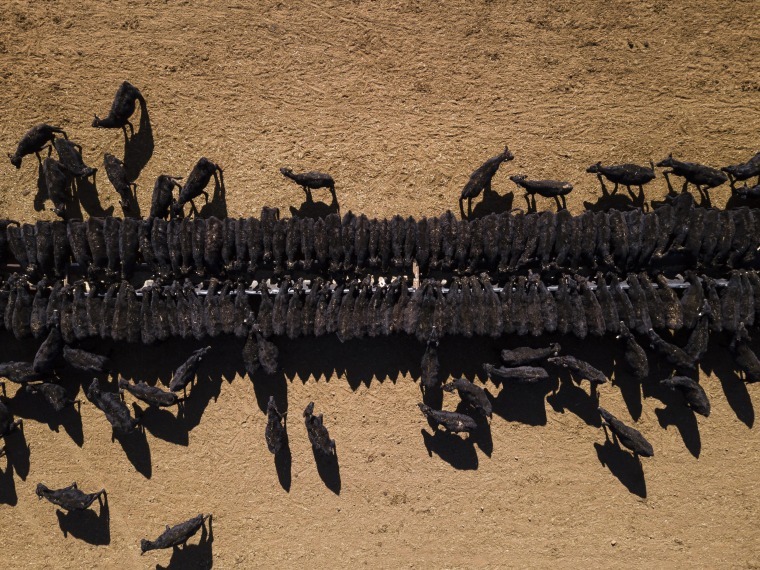 Cattle walk past an empty dam and old windmill on a farm west of Gunnedah on June 8. 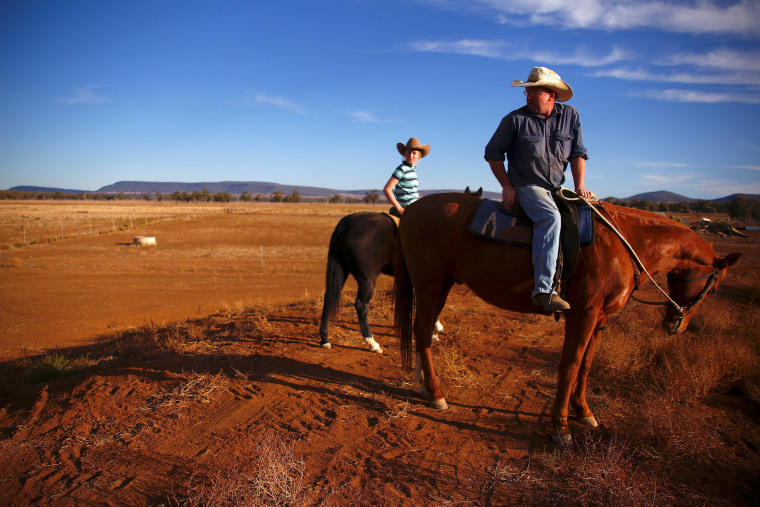 Farmer Scott Cooper and his daughter Charlie ride their horses along a fence on their farm, Nundah, south of Gunnedah, on July 21. 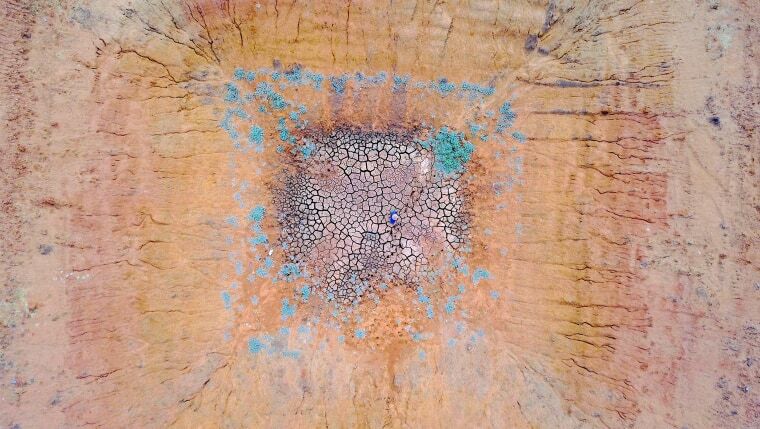 Farmer Ash Whitney stands in the middle of a dried-up dam on his farm west of Gunnedah on June 3. "I have been here all my life, and this drought is feeling like it will be around a while," said Whitney. 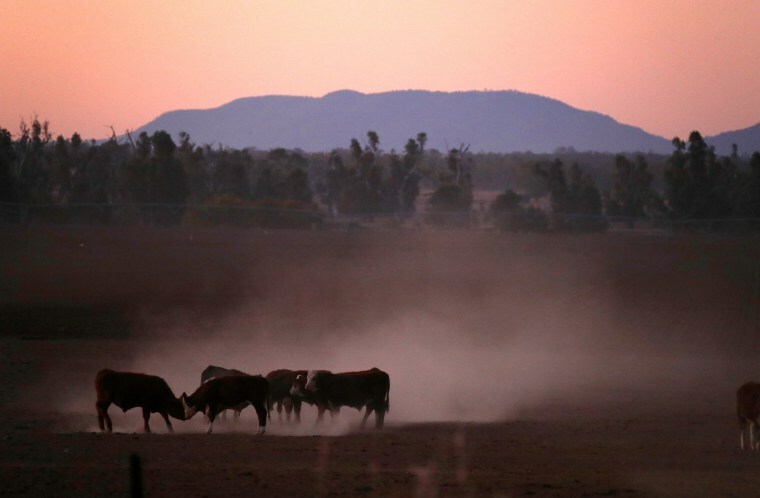 Cattle push each other as they kick up dust at sunset on Tom Wollaston's farm, west of Tamworth on June 1. 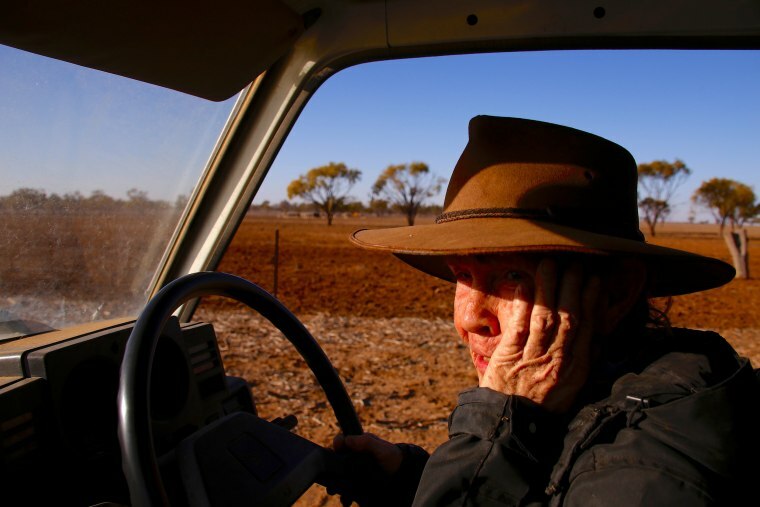 Farmer May McKeown drives her truck to feed the remaining cattle on her property, located on the outskirts of Walgett on July 20. 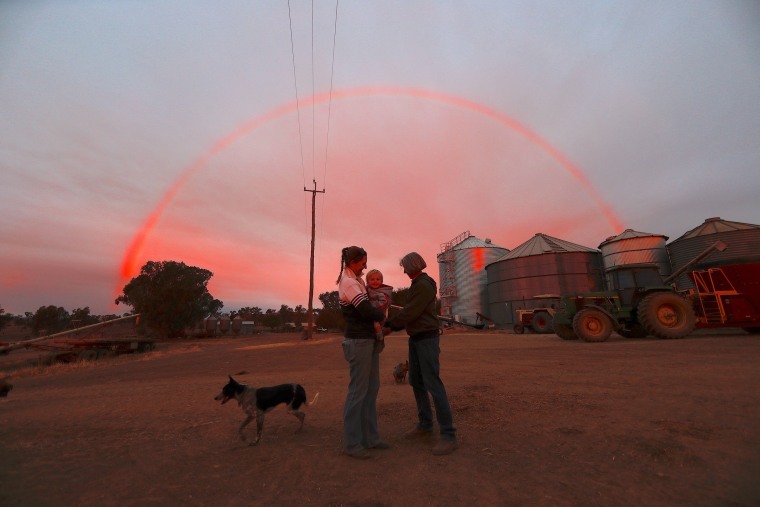 Margo, the wife of farmer Tom Wollaston, talks with her daughter, Natasha, and her granddaughter, Abbey, as a rainbow gleams above them during sunset on their farm west of Tamworth on June 2. 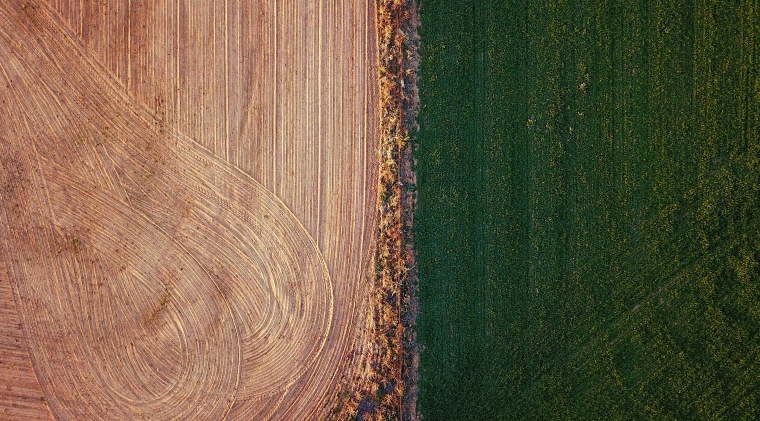 An irrigated field is contrasted next to a plowed field on a farm on the outskirts of Mudgee on July 18. 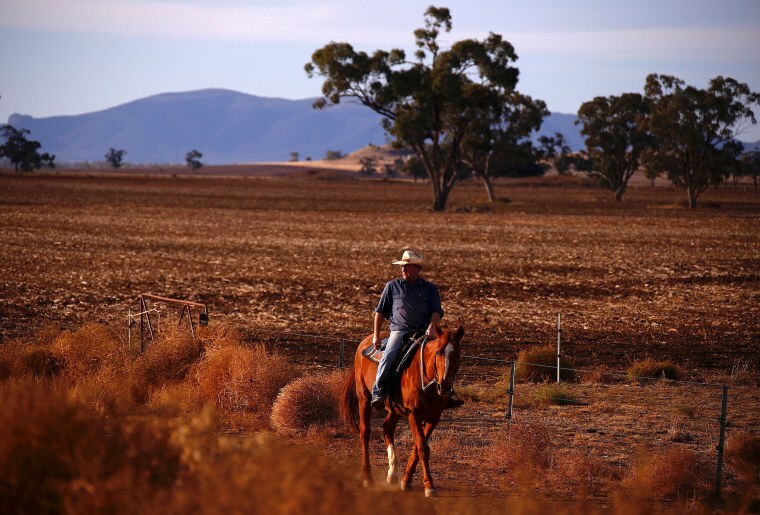 Farmer Scott Cooper rides his horse through a dried field on his farm south of Gunnedah on July 21. 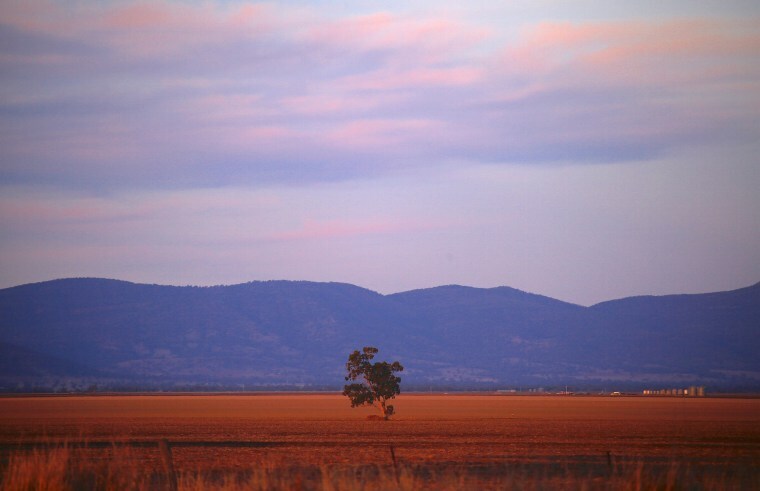 A lone tree can be seen in a dehydrated field on Scott Cooper's farm on July 21. 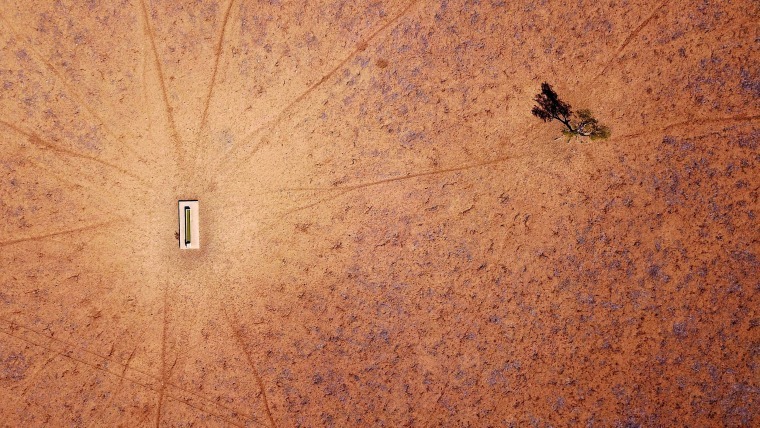 A tree stands near a water trough on Jimmie and May McKeown's farm on the outskirts of Walgett on July 20.